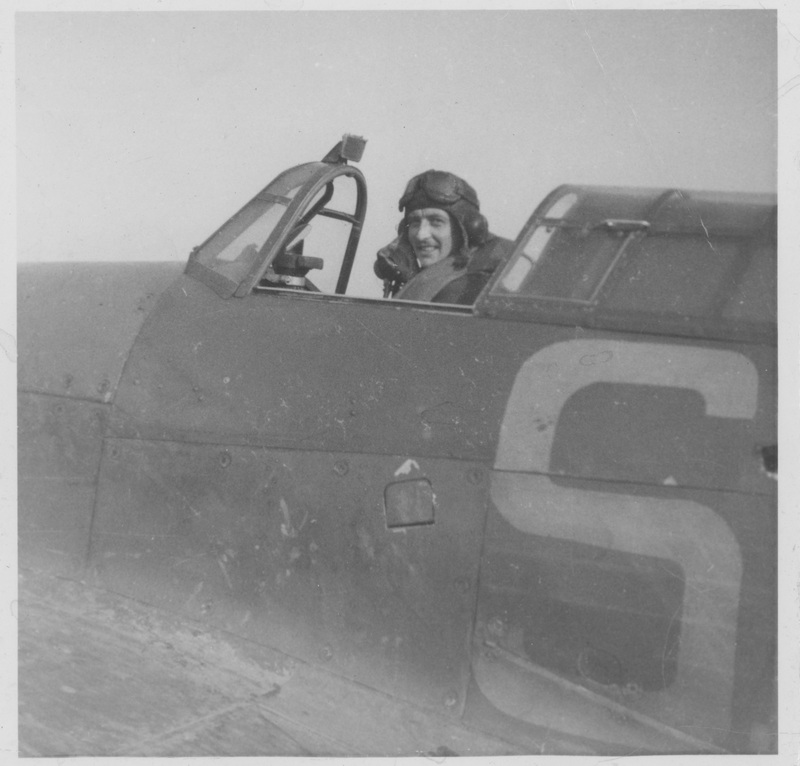 501 Squadron photo, Kenley 1940. Skalski archive. 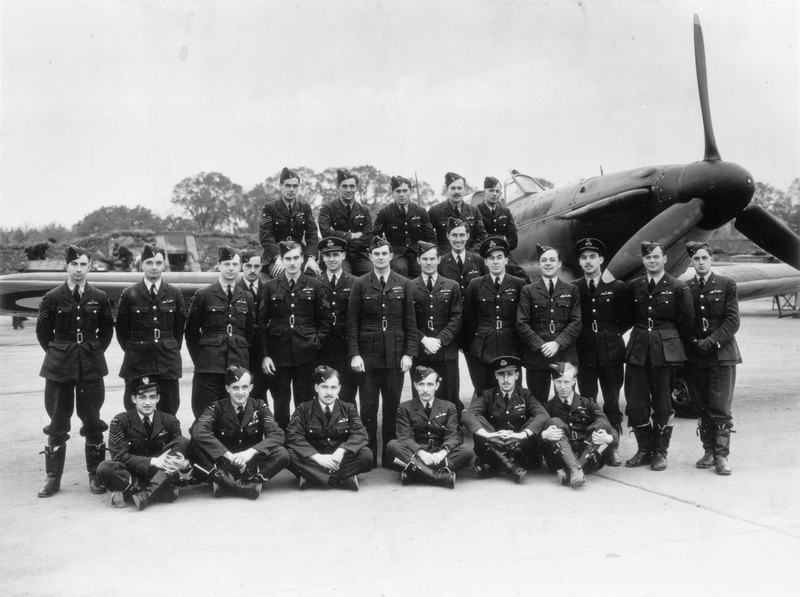 Pilots of 501 RAF Squadron in front of a Hurricane - lieutenant Stefan Witorzeńć (second from the left, standing), second-lieutenant Stanisław Skalski (first from the right sitting). August or beginning of September, 1940.